When it comes to watching sports with friends, one thing’s for sure: wings are the thing to eat! Chicken wings and the big game are one of those classic combinations that never fails to satisfy. At The Still, we’re very aware of this, and we’re serious about offering the best wings possible to heighten your sports viewing experience. We have an incredible variety of Crispy-Style Chicken Wings that taste great, pair well with beer and are perfect for sharing with friends. Here, we’re offering up the 411 on our wings so that you can better understand why they simply can’t be missed! Have you ever wondered why chicken wings are so popular? As it turns out, the idea of frying chicken wings and drenching them in sauce, which is often called “Buffalo” style, has a pretty interesting history. As the story goes, it all went down in a Buffalo, NY establishment called The Anchor Bar in the early 1960s. Preparing a late-night snack with what was on hand, one of the owners cooked some leftover wings and drenched them in hot sauce. They were deemed delicious, and the item was added to the menu. Served with celery and a bleu cheese sauce, they began to be called “Buffalo” wings. 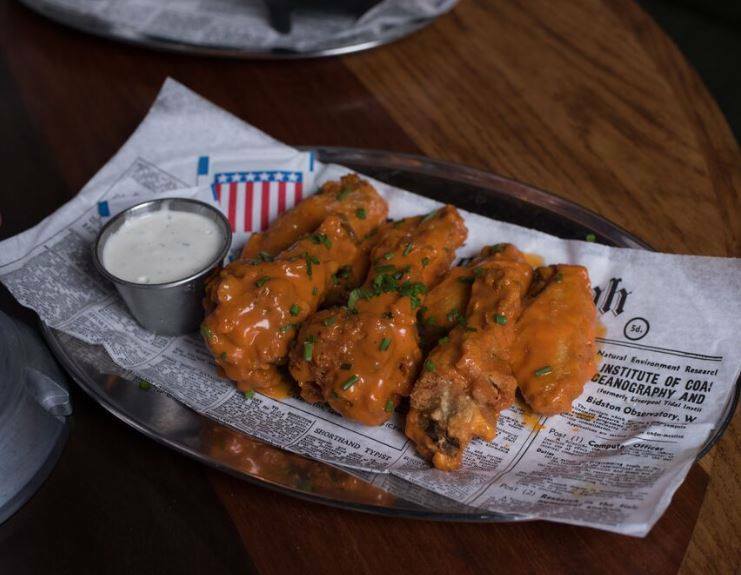 Pairing up with their hot sauce provider, family members of the Anchor Bar decided to capitalize on the popularity, and began promoting the concept of these wings to area establishments. Buffalo wings caught on first locally, and then globally. By the 1990s, they were a full-on sensation, appearing on fast food menus and being served around the globe. Interestingly, timing played into wings’ popularity, too. During the 1980s, a low-fat way of eating was extremely trendy. This made higher-fat parts of the chicken (like wings) less desirable, and therefore less expensive. As dining establishment,s the low price of wings made them extra appealing as they had a good rate of return. Plus, the hot-and-spicy aspect made customers buy more beer! This was also the time that big screens were becoming popular in bars, and people were watching the game out more frequently than at home. All of these things came together and truly cemented the now-classic pairing of wings, beer, and the big game. The Still: chef-driven cuisine. At The Still, we offer up game day classics including Crispy-Style Chicken Wings, as well as other popular items like chips and dips, burgers, and plenty of creative tacos. We know that part of the joy of the big game is enjoying these satisfying snacks and light meal items. But what sets our dishes apart from the rest is our chef-driven approach. 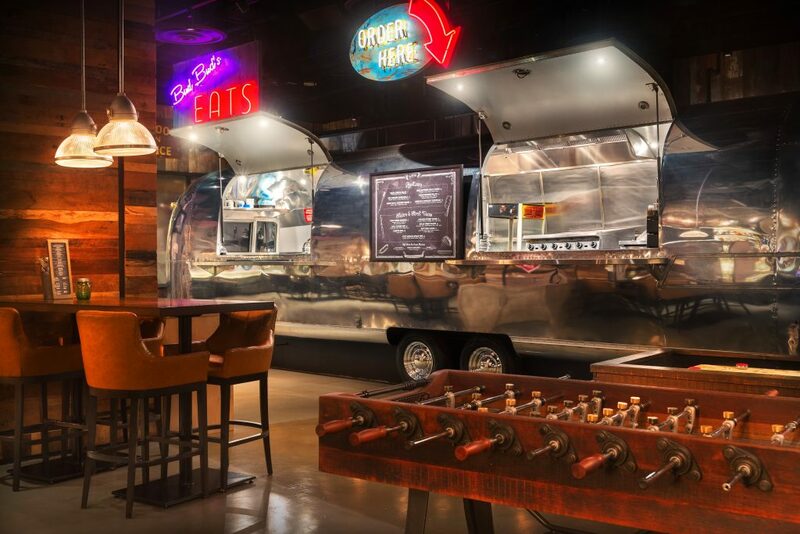 Within the walls of our unique Airstream trailer kitchen, world-class chefs are creating these delicious recipes. They are always expertly made, and frequently feature gourmet and creative flair. When we make our Crispy-Style Chicken Wings, we do it up right. First, high quality chicken wings are fried to perfection, and then drenched in sauce while still hot, and served to you steaming. What kind of sauce? Well, that depends on your preference. We know that you love choices, so our Crispy-Style Chicken Wings come in a variety of styles. Choose the one that best suits your mood, or order a variety to try! So whether you like to keep it classic with the Signature Buffalo or take a walk on the wild side with our addictive Spicy Korean wings, there’s something for every appetite in our wing offerings! 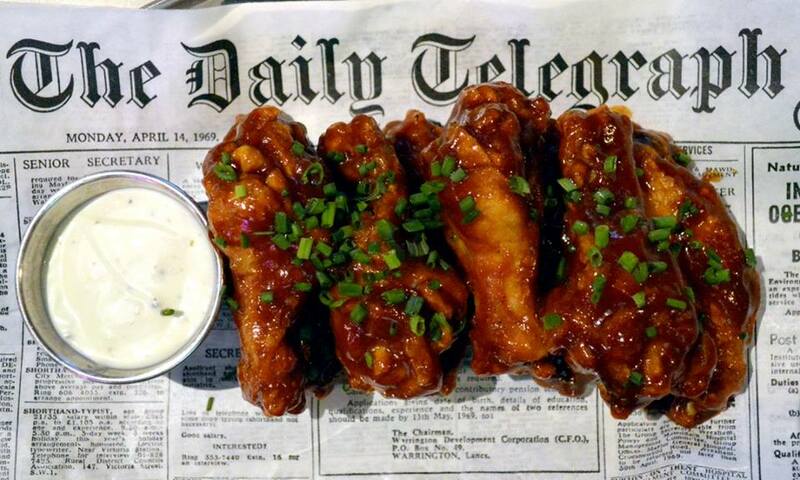 Did we fail to mention that our Crispy-Style Chicken Wings are particularly great when paired with an ice cold beer? Happily, we have plenty of beer options, too. Our massive menu includes over 50 varieties of craft beer. We have bottles, cans, pitchers, and drafts available in a variety of different beer styles, so whether you like lagers or stouts, IPAs or sours, we’ve got the perfect pick for you. Sports are simply better when paired with expertly made chicken wings. At The Still, our Crispy-Style Chicken Wings are truly a flavor sensation that cannot be missed! 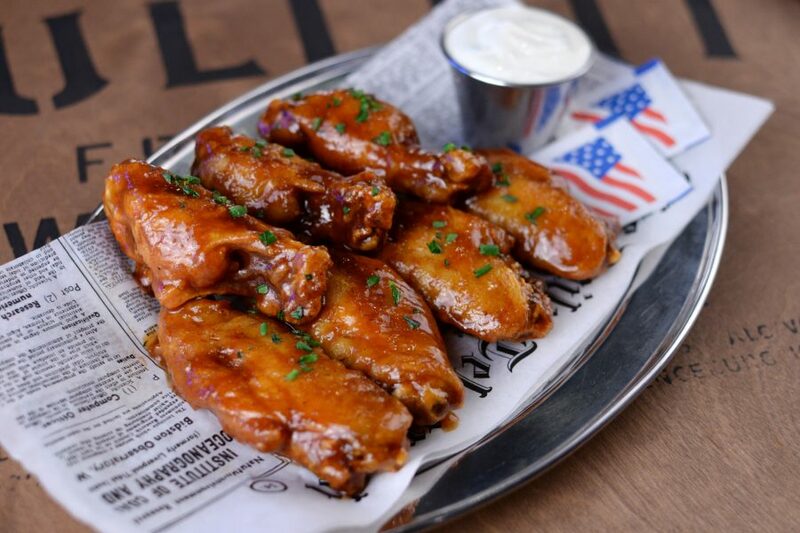 We welcome you to join us at our Las Vegas sports bar to see for yourself how incredible our wings truly are. Have you tried our Crispy-Style Chicken Wings?